signed: "Zenith / RADIO NURSE / DESIGN BY NOGUCHI / PATENT APPLIED FOR / 117 VOLTS-50/60 CYCLE-25 WATTS / ZENITH RADIO CORP., CHICAGO" - molded into plastic on back of case. The "Radio Nurse" is a radio transmitter designed by Isomu Noguchi and manufactured by Zenith Radio Corporation. 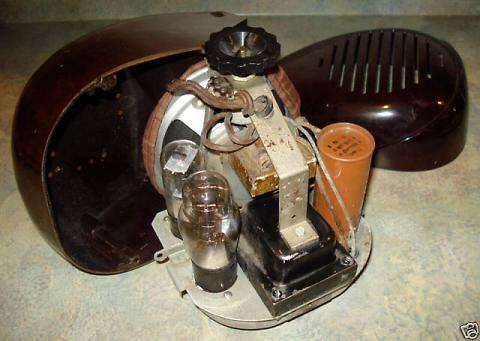 This "Radio Nurse" was part of an early baby monitor and used in conjunction with a receiver called the "Guardian Ear" (missing). 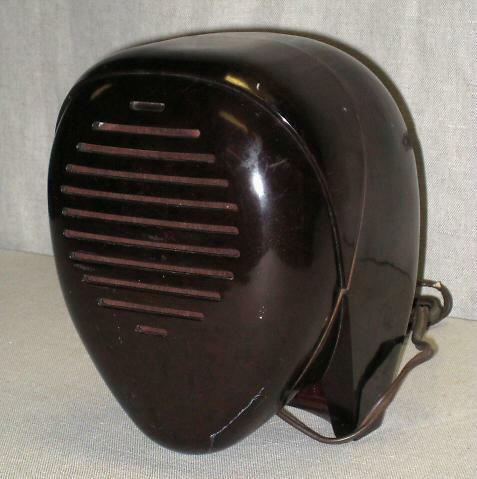 The case is deep brown molded Bakelite and designed to suggest the head and hat of a nurse. Provenance, purchased on eBay (see activity) from an Estate in MO.